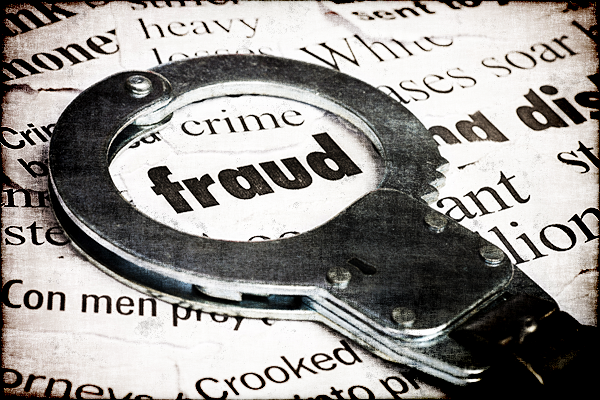 A lucrative immigration fraud scheme, involving a relatively small number of people, has led the feds to seize more than $4.3 million in ill-gotten gains in an unlikely place, southern Alabama. Usually immigration fraud cases take place where there are a lot of immigrants, and that usually means big cities, but in this instance the alleged criminals (including a man with a Hispanic name who was working with Chinese millionaires) were indicted in the federal court for the southern district of Alabama. It is a remarkable case for a number of reasons other than the extent of the loot, the location, and the ethnic mix. The facts, as laid out in the indictment (PACER case number 1:16-cr-=00153-KD-N) are these: Two U.S. citizens living in the Mobile, Ala., area, David Jesus Jimenez and Christopher Dean, created fictitious joint ventures with wealthy Chinese nationals that allowed the latter to come to the United States on the rather obscure EB-1C immigrant visa (more on that later) in return for substantial payments to Jimenez and Dean, usually $300,000. How the government found out about this is not described, but Dean has pled guilty to charges of visa fraud and money laundering and Jimenez was found guilty earlier this month following a jury trial on a similar set of charges. First, the visa used in this case is not one we hear about very often. It is a subset of the elite EB-1 immigrant visa, used for people of "extraordinary ability" like "outstanding professors or researchers", to quote the law, and, oddly, the not particularly exceptional (in my eyes) "multinational executives or managers". What is exceptional is that at the time of the first of these offenses, those arriving from China in any of these three categories were not subject to waiting periods, or to Department of Labor reviews of the applicants' resumes. In an understatement, the indictment notes, "Thus immigrants eligible for a visa under EB-1 have a distinct advantage over those applying for entry under other visa programs." The indictment says, incorrectly, though the error is not pertinent to the case, that "Immigrants who fulfill the specific criteria to be eligible for a visa under EB-1 are not subject to the United States annual numerical immigration quotas." That never was the case, although those numerical limits did not slow the process for Chinese in the EB-1 category until a few years ago; now there is a waiting period of more than five years for aliens from Mainland China in this category. I have heard from time to time, from two or three of my valuable informants, that there was growing abuse of this visa, but I do not recall seeing criminal cases in this connection. The second matter of note is the, shall we say, middleman-heavy distribution of the illicit fees. The price quoted most often, for the cooperation of a multi-national corporation (or one of its executives) was $21,000, with the rest of the money going to the conspirators. When there are marriage fraud cases involving a conspiracy and payments to U.S. citizens to marry aliens, there is a similar distribution, most of the money goes to the middlemen. Third, the prosecutors seemed, in this case, not to press charges against either the conspiring corporations or the aliens using the EB-1C visas; no one, in either category, in either the Dean or the Jimenez cases is mentioned by name, usually a sign that no other indictments are pending. This is unfortunate; everyone involved should be indicted, but perhaps testimony from some of the others was obtained when a non-indictment was promised. The forfeitures were not added up by either the indictment or the government's press release, but each of 18 is listed, and I got a total of $4,384,426.64. Eight of them were for sums held by J.P. Morgan Chase, another eight by East West Bank, and two by the Bank of America. The individual forfeitures ranged from a low of $12,367.82 to a high of an even $300,000. Most were just below that last figure — as often with indictments, there are patterns shown but not explained. In summary, there are lots of ways of beating the immigration system, many crannies, many loopholes, and this is just another of the highly-specific ways that people try to outwit Uncle Sam. In this case, the conspirators were ultimately identified, but not before a number of aliens managed to secure green cards in this manner. What will happen to those aliens, if anything, is not known. If I were one of them I would be careful to stay in this country, to not seek any more benefits from DHS, and to be careful to not violate the law again. Sometimes an immigration-related crime will be undetected or not acted upon for years, and it only comes to light when the alien seeks another benefit, like naturalization.